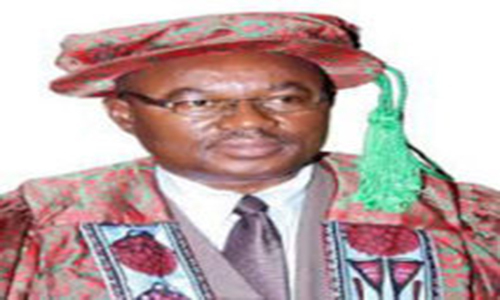 Prof. Francis Chukwuemeka Eze, Vice-Chancellor of the Federal University of Technology Owerri had stated that a dynamic entrepreneurship is a good means of dealing with unemployment issues in Nigeria. while delivering his address during the third annual conference of the Centre for Entrepreneurial Studies held at the Federal University of Technology Owerri. Prof. Eze made mention that the ability of any country to successfully meet the problems of job creation and unemployment depends solely on entrepreneurship, development and economic growth. “I believe that if we put our art right in this, our teaming unemployed graduates and non-graduates alike will surely find their hands on tools,” Eze said. He also thanked and commended the Federal Government through the National Universities Commission (NUC) for its vision and focus on entrepreneurship training and development and the recent need to reverse the curricula of programs offered in Nigerian Universities. Prof. Christopher Eze, the Director, Centre for Entrepreneurial Studies stated that the conference is aimed at bringing entrepreneurs together to exchange research ideas and to enlighten the society at large on the shift from white collar jobs to hands on tools.